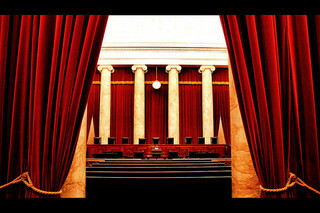 Supreme Court cases are usually known for what they hold. Harris v. Quinn will forever be known for what it did not hold. The Court did not overrule Abood v. Detroit Board of Education, a 35-year old precedent that is a cornerstone of public sector collective bargaining. But it certainly foreshadowed its demise. In Harris v. Quinn the Supreme Court held 5-4 that the First Amendment prohibits the collection of an agency fee from home health care providers who do not wish to join or support a union. Medicaid recipients who would otherwise be institutionalized may hire personal assistants. In Illinois, the Medicaid recipient is the employer and is responsible for almost all aspects of the employment relationship. But the personal assistant is a state employee for collective bargaining purposes. A number of personal assistants did not want to join the union or pay it dues. In 1977 in Abood v. Detroit Board of Education the Court held that state and local government employees who don’t join the union may still be compelled to pay an agency fee (fair share) to cover the cost of union work related to collective bargaining. The Court refused to extend Abood to personal assistants who aren’t “full-fledged” public employees. What justifies an agency fee is that unions must promote the interests of members and nonmembers alike, meaning they cannot negotiate higher pay for members or only represent members in grievances. This justification has little force where a union cannot negotiate pay or represent nonmembers (or members) in grievances. While the Court was highly critical of Abood, it did not overrule it, which many predicted the Court might do. But, this case is still a significant blow to public sector organizing. It has been widely reported that numerous states have recognized Medicaid personal assistants as state employees for collective bargaining purposes. As a result of this decision, none of these employees will have to pay fair share if they don’t join the union. Image courtesy of Flickr by Phil Roeder (creative common license, no changes made).